This women’s history research unit is perfect for students who are learning how to use informational text and studying women in history. It is great for Women’s History Month in March or anytime of year. 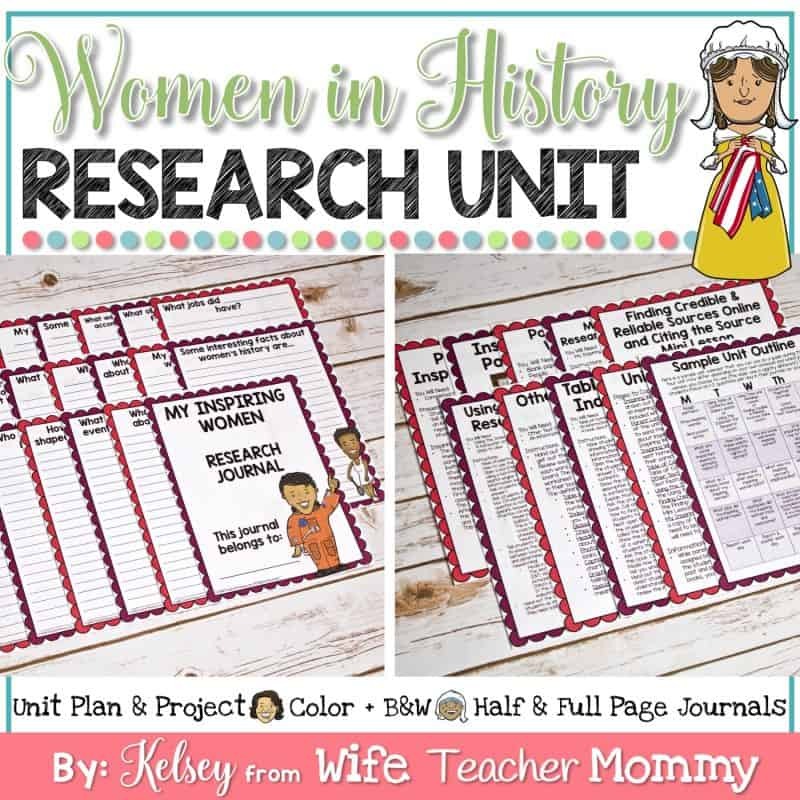 Great for women’s history activities, biographies, reports, and projects! Students will first learn how to use the text features in informational text including the table of contents and index. Then, students will be assigned a notable woman to research and, optionally, a partner or group to work with. 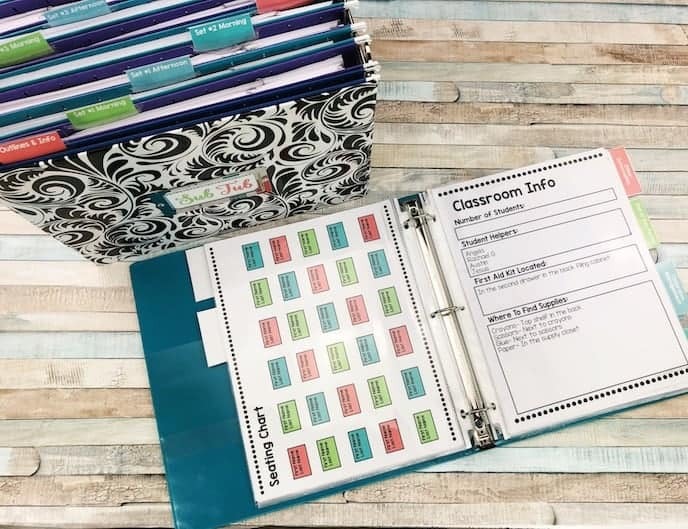 Students will have a Women’s History Research Journal that they will use as a guide as they research about women in history, and their assigned person. Editable sections have been added to the research journals so you may add your own questions! Once students have completed their research, they will use it to complete two culminating activities: a report/presentation and a poster with a hand-drawing of their assigned person along with their personal traits. Finally, other classes and parents will be invited to see the posters and what they’ve learned about women in history (optional). Women in History Cards Cards with the name and clip art of many noteworthy women’s history leaders. You can use these to assign students a person to research. Research Journals: The research journals will guide the students throughout their research. There is one question on each page for the students to find the answer to. 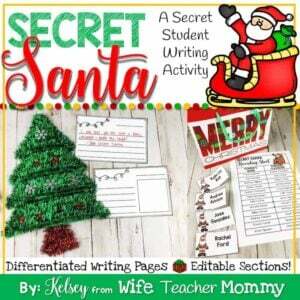 Pre-written pages are included, plus blank ones to add your own questions. 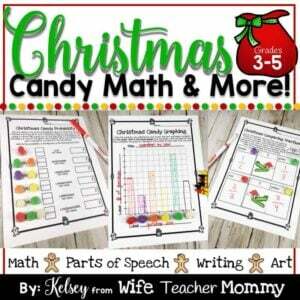 Full page and half page versions are BOTH included in this resource. Choose which version is best for your students. Poster Example A photo example of the final project. Parent Letter & Invitation: Keep the parents in the loop! 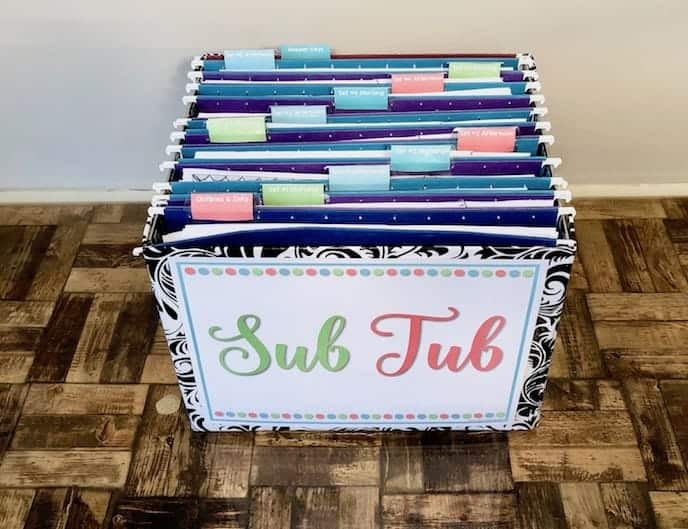 Let them know what is going on with the unit, and invite them to see the student’s hard work. Both of these are editable. Final Report Pages and info: A final report page is included as well as examples and lessons for their final project. Need only Social Studies? You can save 20% with the Social Studies Research Unit Bundle.